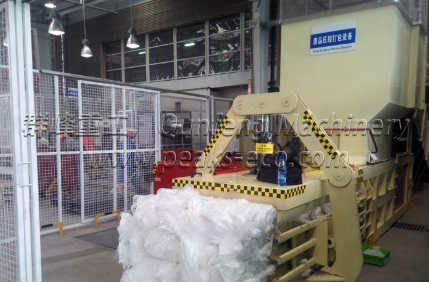 For a waste paper packing station, the most indispensable equipment is the baler such as Paper Baler Machine. Many newcomers are inevitably complaining, do not know how to buy a good machine, do not know the maintenance experience of some balers, there is not much information online. What kinds of waste paper balers are there in the market? There are three main types of common types: vertical manual balers, horizontal manual balers, and horizontal fully automatic balers. The efficiency of the vertical baler is relatively low, although the investment cost is small, but the speed is slow, resulting in low efficiency. The horizontal baler has no problem for 100 tons a day. Although the benefits are good but the cost is relatively high, the price of the new machine is basically ten thousand. If you have demand about baler and Recycling Sorting System. Welcome to our website know more details. PreviousWhat to Pay Attention to Before Buying a Baler? NextGarbage Classification, From the Recognition of Garbage Start!